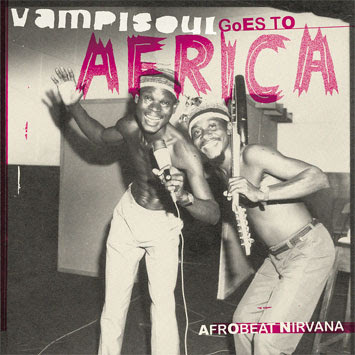 As if the recent Soundway and Analog Africa offerings were not enough Vampisoul gives us a triple dose of Nigeria madness. Expected May. IT's HIGHLIFE TIME! Highlife, dance music played mostly in Ghana and Nigeria, represents one of the century's first fusions of African roots and western music, and before 1970 it ruled dancefloors across much of West Africa. The story of West African big-band Highlife is the story of West African independence itself. From its early roots in church music, old African song forms, sea shanties and military brass bands to the orchestra podiums of the slickest nightclubs and concert halls of Lagos and Accra, Highlife has charted the growing confidence of a proud and gifted people casting off the shackles of empire: a people ready to live the High Life. Available on 2CD and 2LP formats, both with complete and informative essay by African music authority John Armstrong. Fela Kuti (1938-1997) was the first and brightest African super star, and a music genious of colossal dimensions, considered by many the unrivalled king of african music for more than 30 years. What Vampisoul has the inmense pleasure to offer, as part of our ongoing African sonic exploration (Tony Allen, Orlando Julius, Highlife collection and more to come), is the musical birth of a MYTH and GIANT of world's music. CD 1: Bonfu; Fere; Onifere No 2; Oyejo; Oluruka; Awo; Great Kids; Amaechi's Blues; Yese; Egbin; Orise; Eke; VC7; I know your feeling; Alagbara; Ajo; Signature Tune; Highlife Time; Lagos Baby; Omuti Soul; Olulufe Mi; Araba's delight. CD 2: Wa Dele; Lai se; Mi o mo; Obinrin Le; Omo Ejo; Everyday I got my Blues; Moti Gbrokan; Waka waka; Ako; Ororuka; Lai se. ; Onidodo; Abiara; Se e tun de; Waka waka; My Baby Don Love Me; Home Cooking. 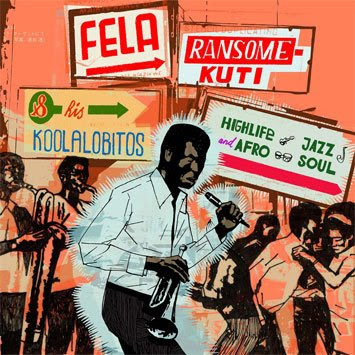 In this special priced collection you will find a wide variety of exciting african sounds created in Nigeria from the late 1950's up to the late 1980's. 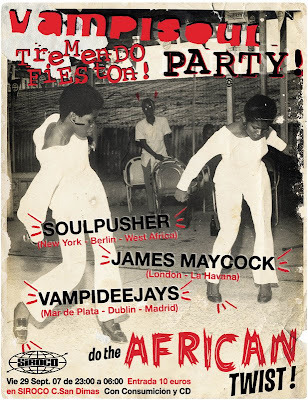 All the songs are taken from recent or upcoming releases on Vampisoul's massive Western African reissue project so consider it an appetizer! On "Afrobeat Nirvana" music speaks for itself in its conflation of african tradition, Jazz, Highlife, Psych, Funk, Soul, R&B and –of course- AFROBEAT. 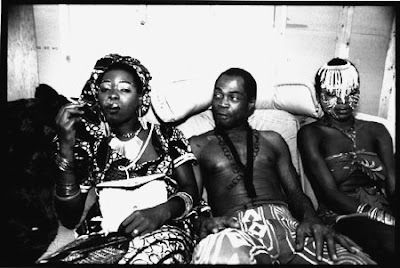 Some of the names here are familiar to our occidental ears, such as the great Tony Allen, Orlando Julius, and of course Fela Kuti (here in his early years). But there are plenty of others, more obscure amd mindblowing artists, in here such as Godwin Omobuwa, Dr.Victor Olaiya, Bola Johnson, Fred Fisher and Opotopo. Equally hot and vibrant, these will be a total finding for you. "Afrobeat Nirvana" is the perfect introduction to the almighty African sounds and rhythms… and soon to be one of your favourite compilations. In any case, one thing's for sure, if you don't feel like moving when you hear this stuff go to your doctore: you're probably dead! BOLA JOHNSON: Lagos Special; FELA-RANSOME KUTI & HIS KOOLA LOBITOS: Lai Se; OPOTOPO: Belama; VICTOR OLAIYA & HIS ALL STARS: Okere / I Feel Alright; TONY ALLEN WITH AFRICA 70: Progress; ORLANDO JULIUS: Psychedelic Afro-shop; GODWIN OMOBUWA: Oriri Jerode; FELA-RANSOME KUTI & HIS KOOLA LOBITOS: Ajo; ORLANDO JULIUS & HIS AFROSOUNDERS: My Girl; FRED FISHER ATOLOBOR: W.T.F.S. ; TONY ALLEN WITH AFRICA 70: Afro-Disco Beat. I'm pretty curious for that Highlife compilation. I'm just working my way into Afrobeat, and I'm curious to hear the influence of Highlife, which I don't know yet. Thanks for the hint.